Does your partner limit the people you can contact? Do they monitor your whereabouts, phone calls, texts, emails, or social media activity and become angry when you veer from their guidelines? 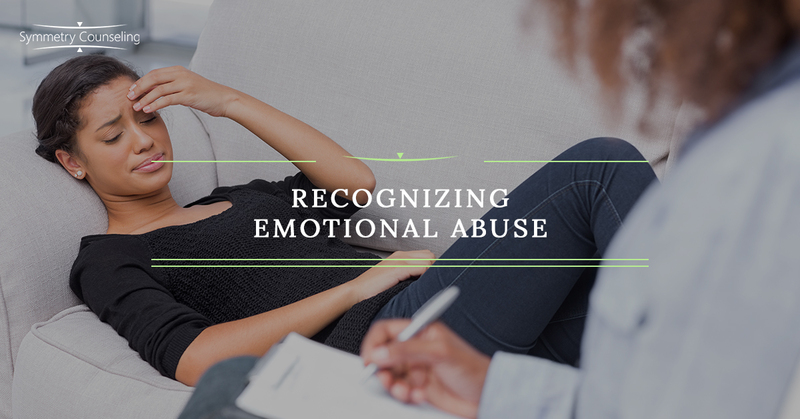 Of the various forms of abuse that can take place within a relationship, emotional abuse can often be one of the most difficult to identify due to its often insidious onset and lack of physical injuries. It is not uncommon for a victim and their loved ones to not realize a relationship is emotionally abusive until a victim is already enmeshed. However, emotional abuse can render someone equally as debilitated both in the short and long term as other kinds of abuse. There may be either a sudden or a gradual onset of emotionally abusive behavior and may be used in conjunction with other forms of abuse including physical violence and sexual coercion or assault. While emotional abuse is not a new phenomenon, the #MeToo movement has given new space within the public landscape for conversations about abuse and manipulation of all forms. Does your partner minimize your feelings, belittle or mock you, or get angry in a way that is frightening? Do they dictate what you should wear, eat, or handle your finances? Emotionally abusive patterns often have no significant beginning or end, although there are often predictable phases of the relationship cycle. Some perpetrators only begin to display abusive behavior after a relationship has been firmly established, such as after a wedding or a certain period of time. Others may overwhelm their partner initially with an overdose of affection, compliments, and dependency often colloquially referred to as “love bombing.” The honeymoon period may give way to a period of relative calm, although seeds of self-doubt and insecurity are often planted within the victim. Emotionally abusive relationships function based on a fundamentally unequal partnership in which the perpetrator controls the victim’s decisions, physical whereabouts, financial independence, and/or relationships with other people. After the victim feels comfortable with the perceived safety, the tension within the relationship often begins to build. When a perpetrator senses a threat to their control over the relationship, there is an emotional explosion wherein the victim is blamed, threatened, and isolated. Often believing that they are to blame for the perpetrator’s explosion, the victim may devote more time and energy to regaining their partner’s affection. The perpetrator may use “gaslighting” techniques such as repeatedly labeling their partner as “crazy,” manipulating facts of an event, or outright denying that an event took place. Has your self-esteem worsened the longer you have been with your partner? Do interactions with your partner leave you feeling used, rejected, humiliated, or worthless? Some, but not all, survivors of these types of relationships may struggle to acknowledge and feel validated that what they experienced was abusive if it did not involve physical violence. There is never an excuse for abuse under any circumstances and abuse is never the victim’s fault. Time, distance from the relationship, and the help of a therapist can be instrumental in helping a survivor to reclaim their identity. While it often takes time and work for a survivor to rebuild self-worth, control, and safety, there is always hope for those who seek it. The National Domestic Violence Hotline (800-799-SAFE) is available with resources and assistance for all who may benefit. This writer consulted with information provided on the websites of the National Domestic Violence Hotline and the U.S. Department of Health and Human Services’ Office on Women’s Health for the writing of this piece.